Spring is marching in, but there is still plenty of time to ride the mountain this winter. With snow in the forecast and the perfect Winter Getaway Special available at Lake Tahoe Resort Hotel, the mountains are calling. Come up to Lake Tahoe Sunday through Thursday and stay in our spacious two-room suites from as low as $99 a night through March 31. Come midweek, Sunday through Thursday, not only can you skip the weekend traffic, you reap big savings like Lake Tahoe Resort Hotel’s $99 rate for two-room suite and breakfast each morning ($15 resort fee for reservations after April 1, 2016). More Daylight = More Mountain Fun. March is full of events, free concerts, and après-ski parties like Heavenly’s Unbuckle and Tamarack Live. 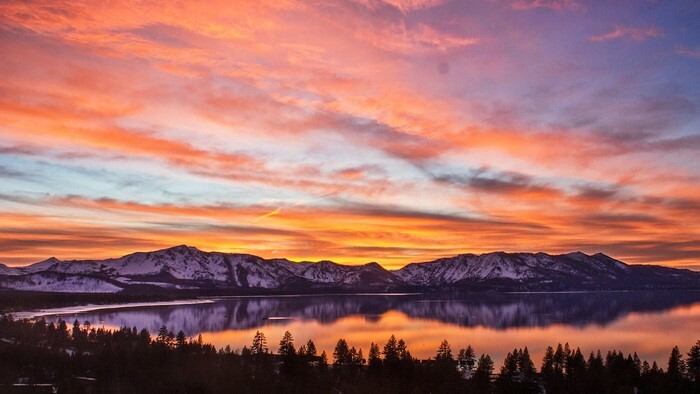 Pack in maximum experience with still enough time left over to find the perfect spot to catch a spectacular Tahoe sunset. Forecasters are calling for periodic snow showers at Lake Tahoe starting this weekend into next week and weather will be perfect for skiing, snowshoeing, and other snow activities.